Khartoum, Nov.8(SUNA)-Minister of Oil and Gas, Dr Mohammed Zayed Awad participated in the international Meeting of the Ministers of Energy which took place in Turkey during November 4-6. 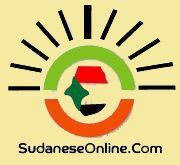 In a statement to SUNA after he returned home Sunday, Dr Zayed said he presented to historical background about energy production in Sudan , especially in field of new and renewable energy, affirming that the renewable energy was first used by Khartoum University in 1955 and Energy Institute was established in Sudan in 1970. He added that he indicated to multi sources of power in Sudan , solar, wind, hydropower , thermal , oil and gas, adding that he called the participants to enter into partnerships to exploit the multi sources of power in a way that meets the growing demands for power. The Minister said the conferee expected rise in oil prices in 2017 after it began dropping in 2014 by entering of the United States of America by using new technologies in production of oil. He pointed out that Turkey voiced its policies towards oil investments in Africa and that it affirmed that Sudan is the gateway to Africa.